New Apple iMac will be spotted soon with constructive thinner body and ramped up specifications are expected with Blu-ray drive, the new all-in-one, dual-core desktops were finalized earlier in September and have been in production for two weeks the systems are expected to come soon in thinner Industrial design in more affordable pricing. Though the details are admittedly limited, it's likely these new enclosures will perhaps take Apple's Cinema Display monitor as its design cue. 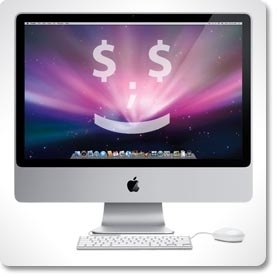 The late 2009 iMac line should also debut several features previously unavailable. A technology have suggested in recent months one of these moves could see the company finally embrace Blu-ray, statement behalf the company, and one believed to see this new generation of iMacs become the most versatile ever – related to audio. The representatives have supposedly stressed to buyers that these offers would be valid for just one week reportedly been offering their volume customers instant discounts of $100 to $200 on existing models by clearing the inventories to make way for these new models.